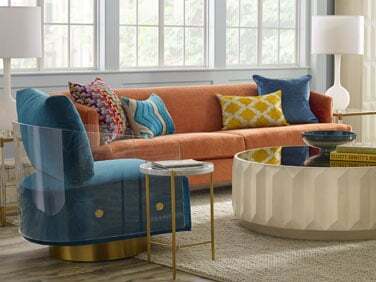 A LITTLE DIFFERENT THIS SEASON. 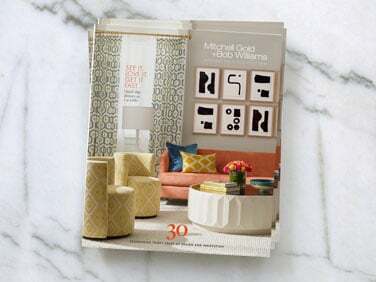 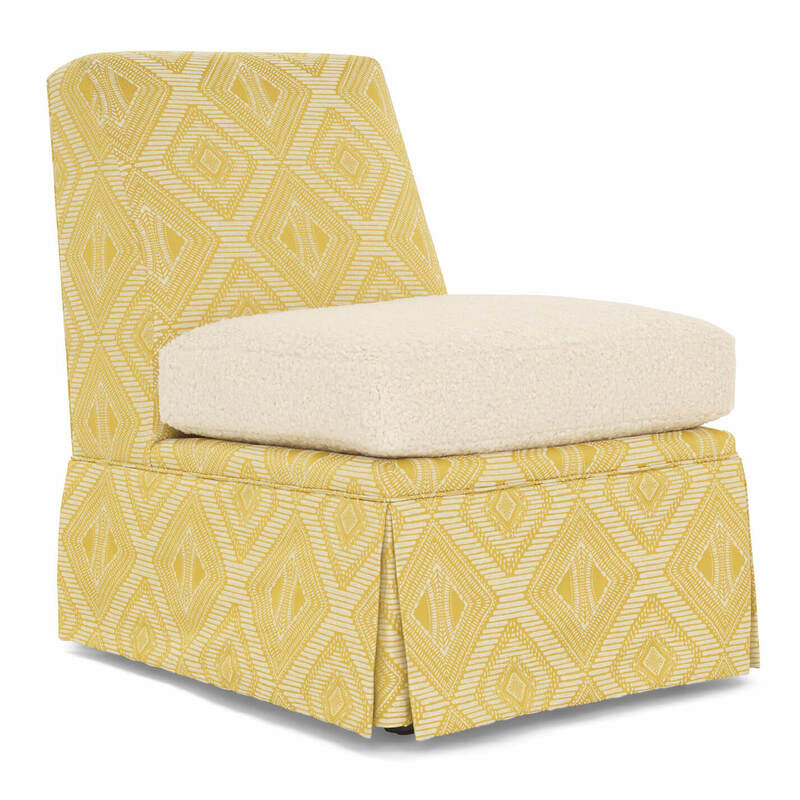 Our new petite seat collection lets you play with scale, pattern and color in a big way, with an array of in-stock and custom order options. 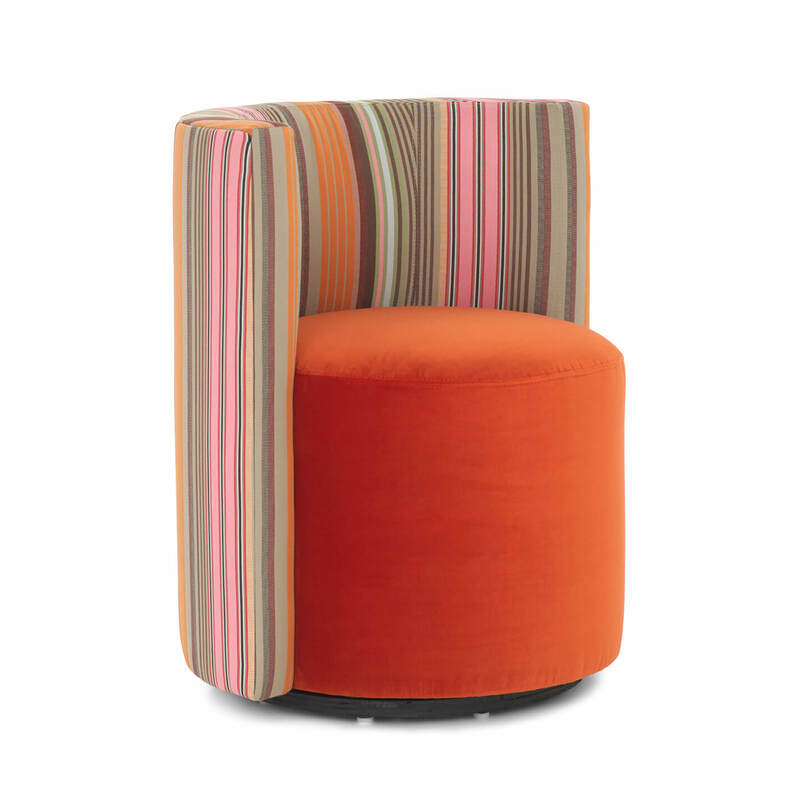 Smartly scaled, yet surprisingly big on comfort. 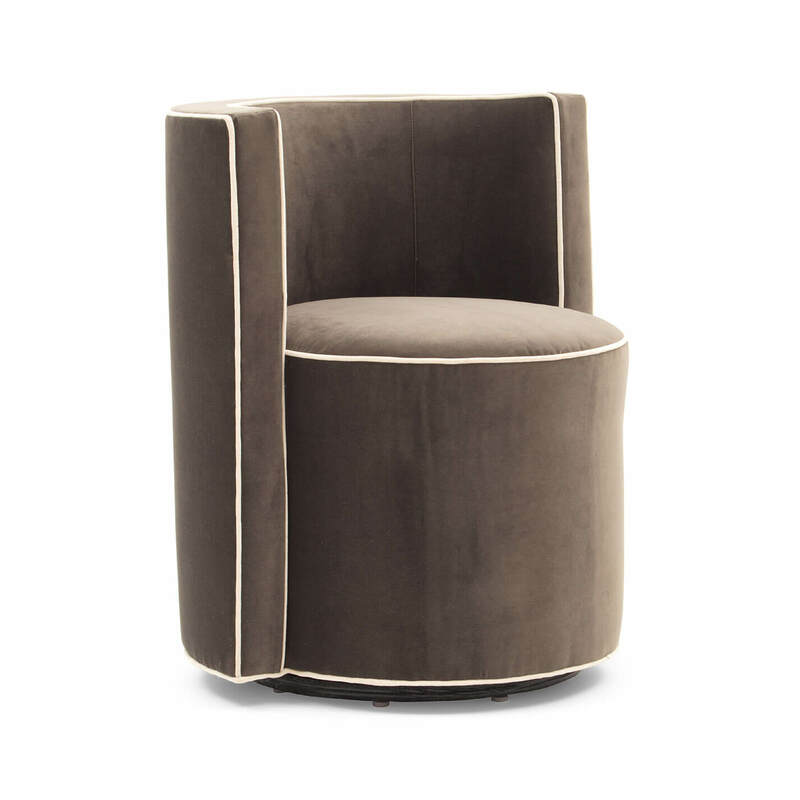 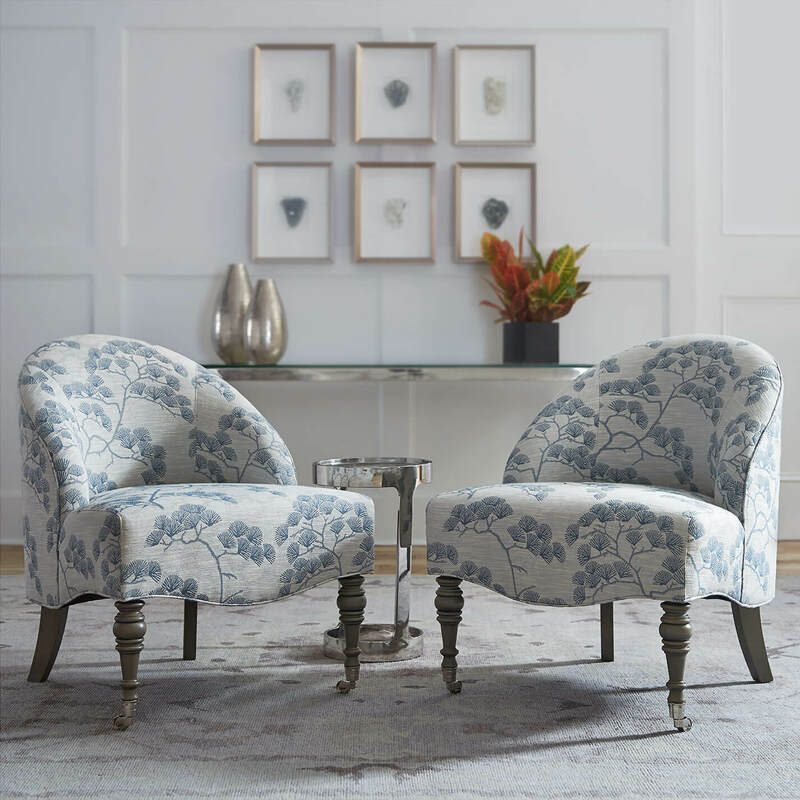 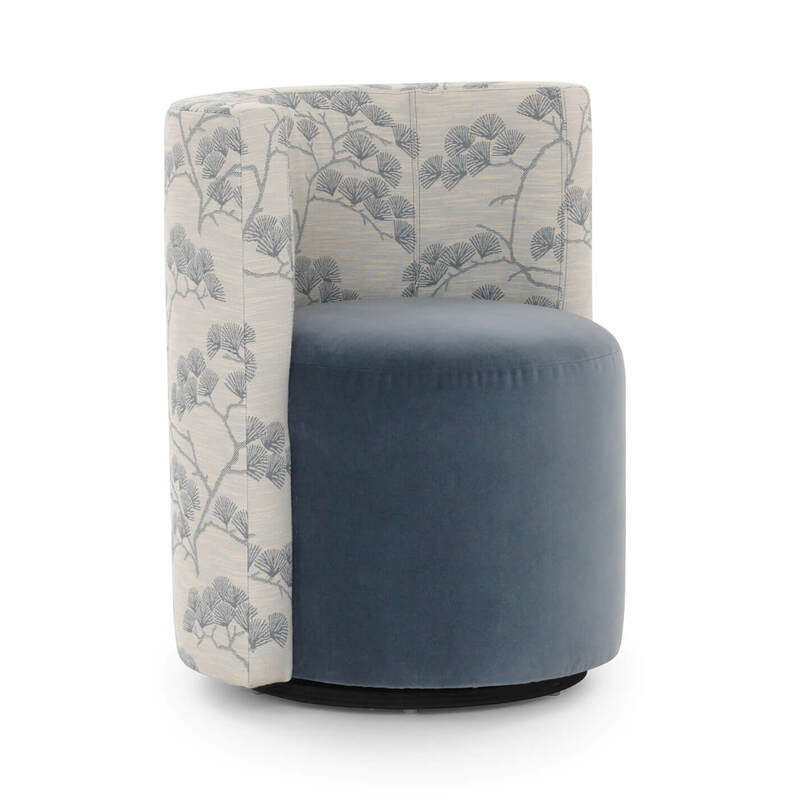 Reminiscent of seating seen in European cafés, this petite swivel pairs especially well with pull-up tables and smaller scale sofas. 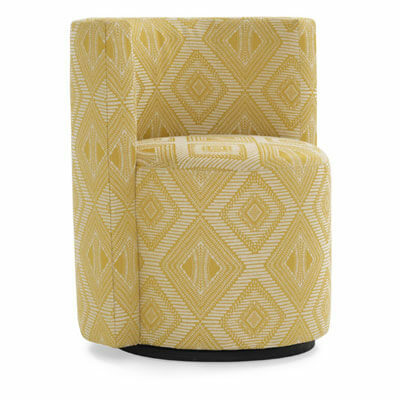 Easy to add in living rooms and larger conversation spaces, as well as bedrooms and dressing areas. 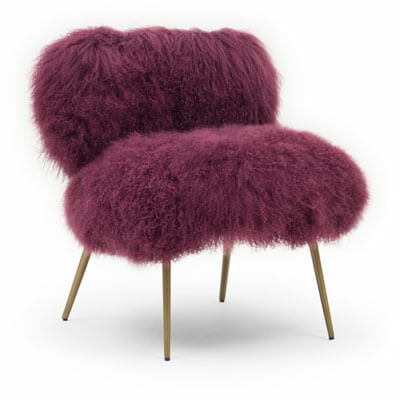 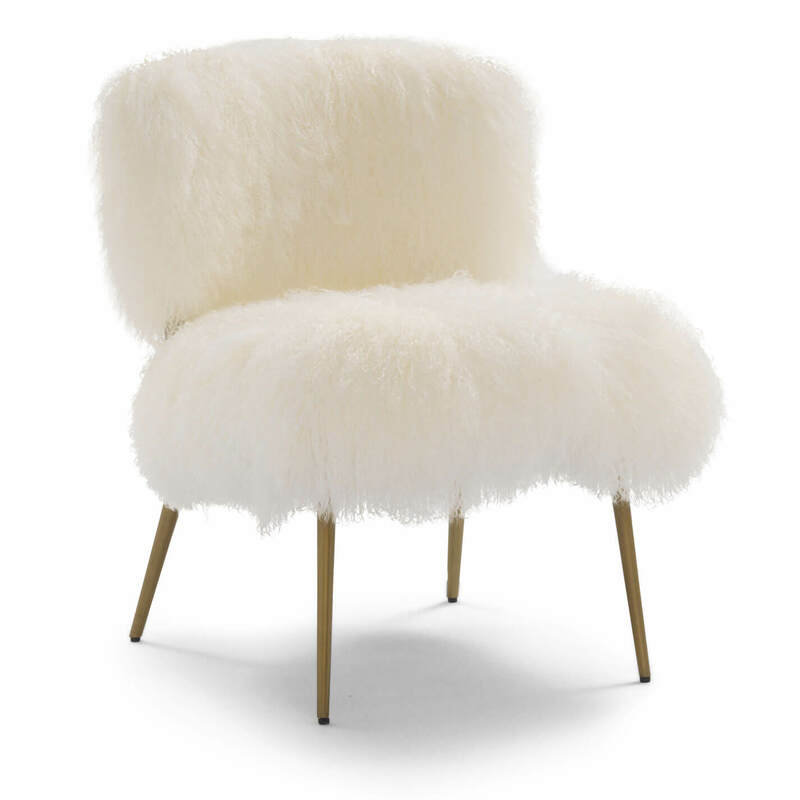 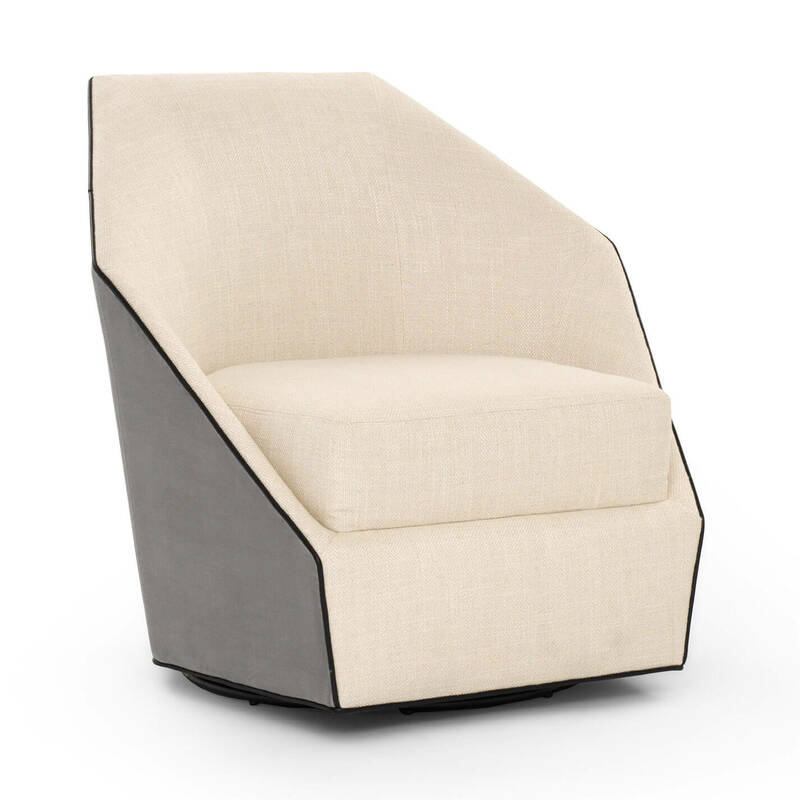 Poppy is available with welt or without, as well as 300+ fabrics and leathers. 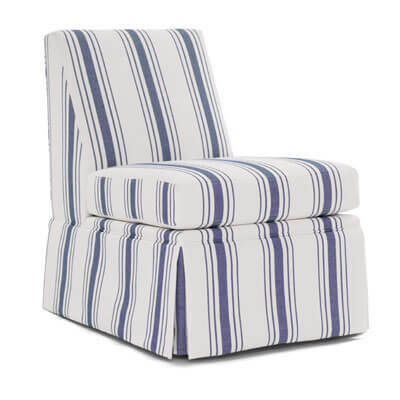 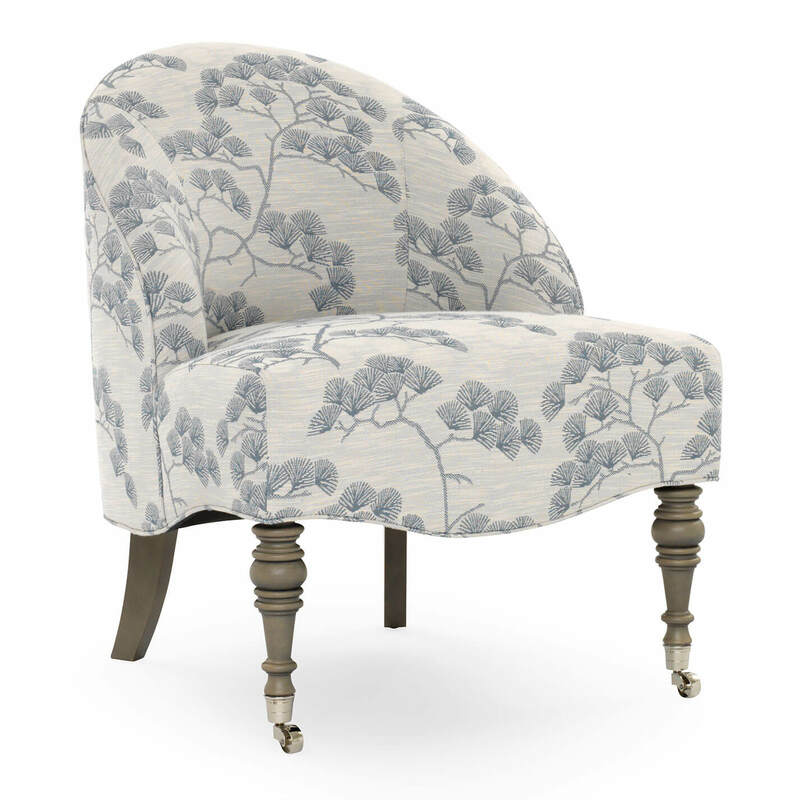 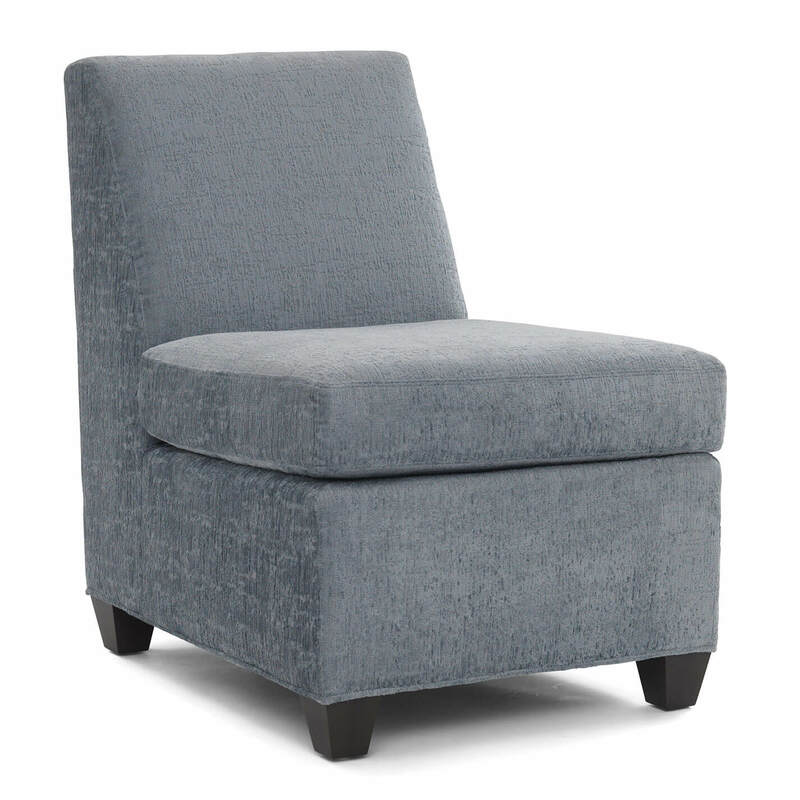 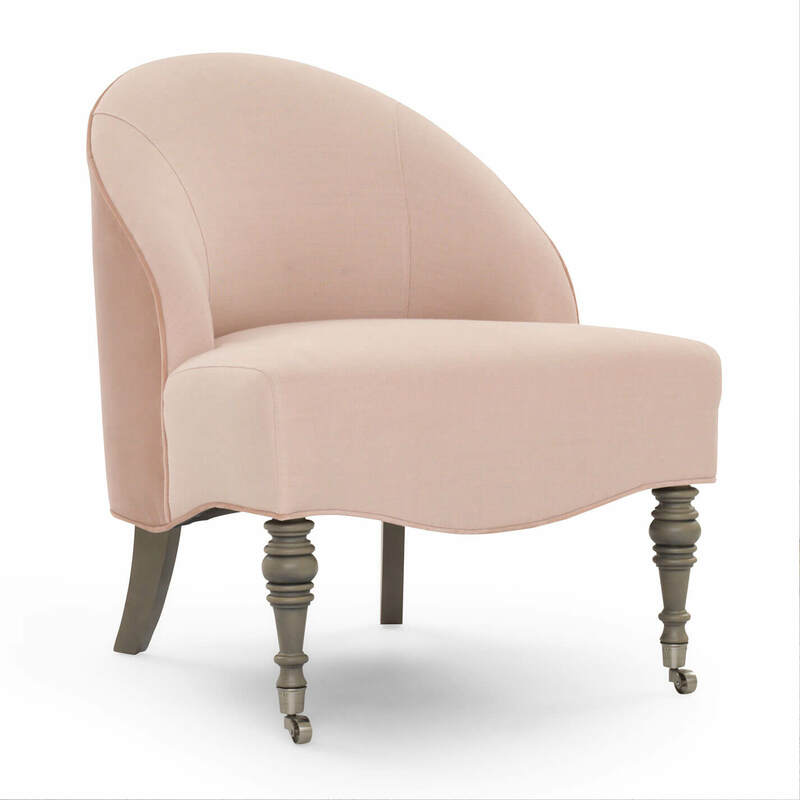 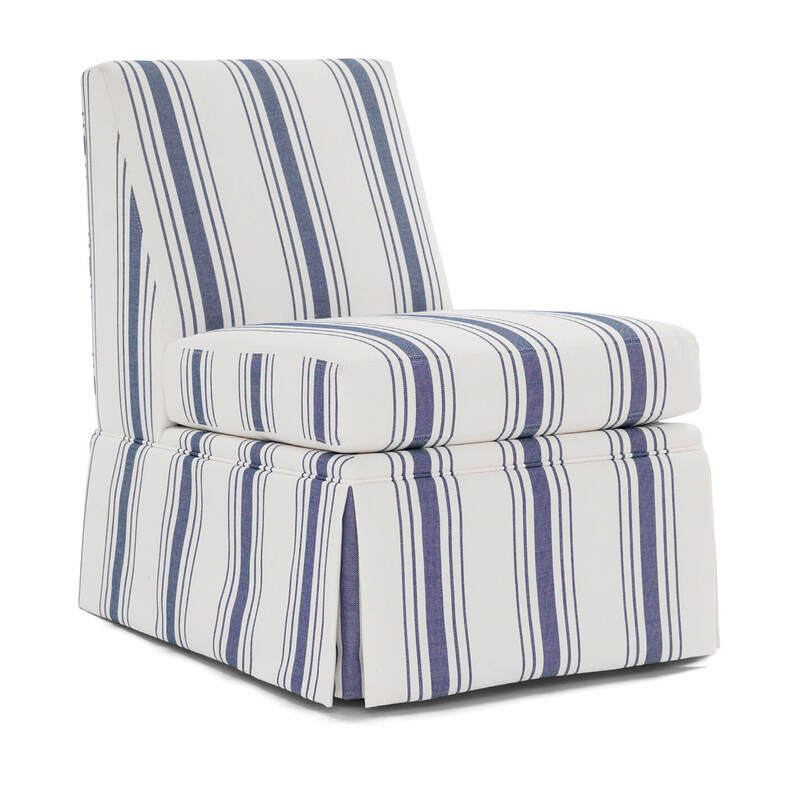 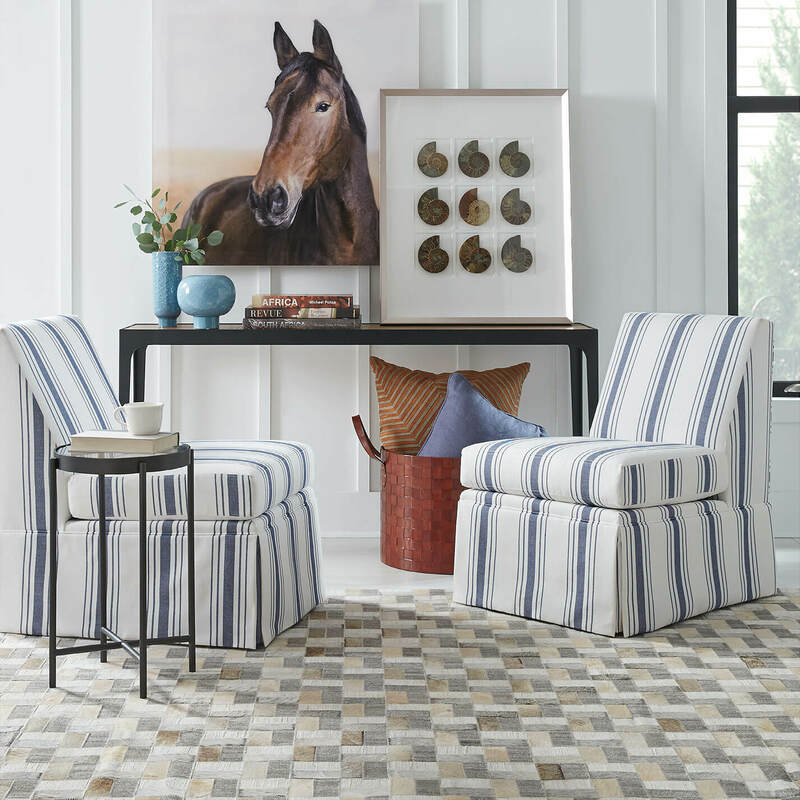 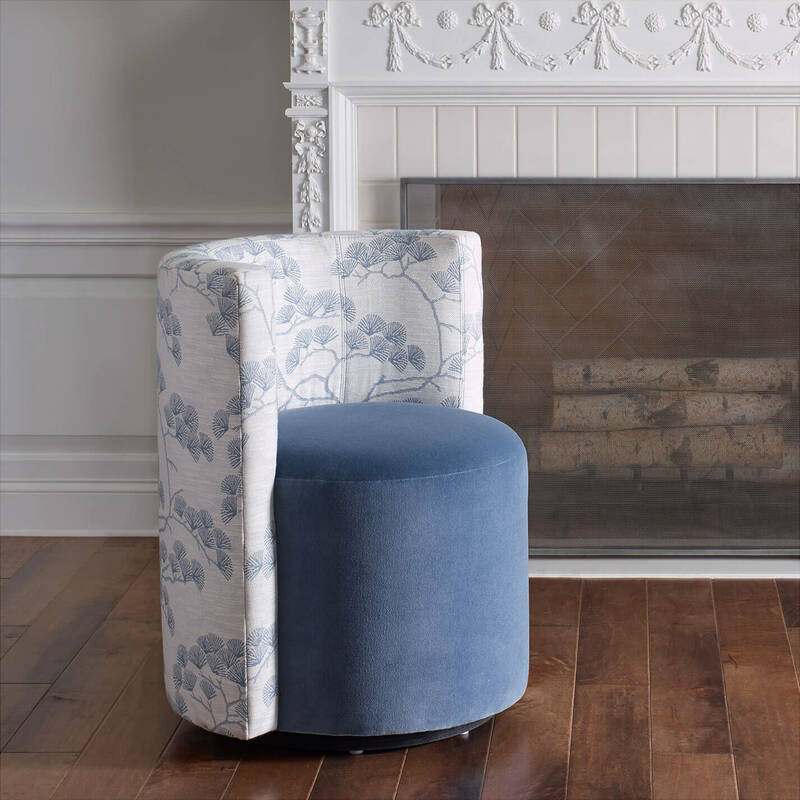 Stocked in an easy-care Sunbrella® performance fabric, this scaled-down version of the classic slipper chair is a designer favorite for traditional, coastal or modern farmhouse looks. 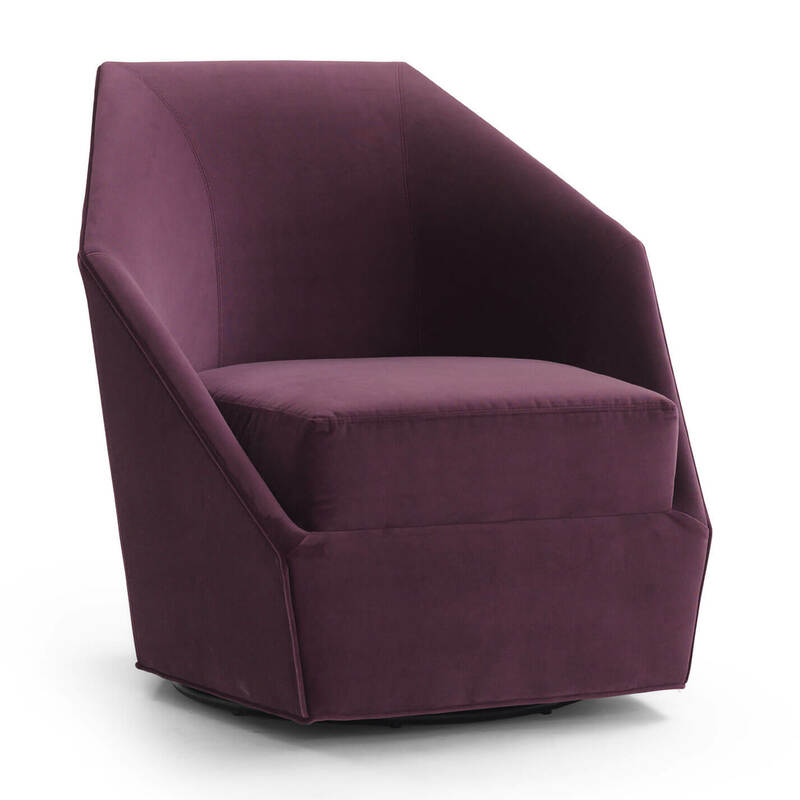 Annie works well in intimate spaces, as well as larger seating areas. 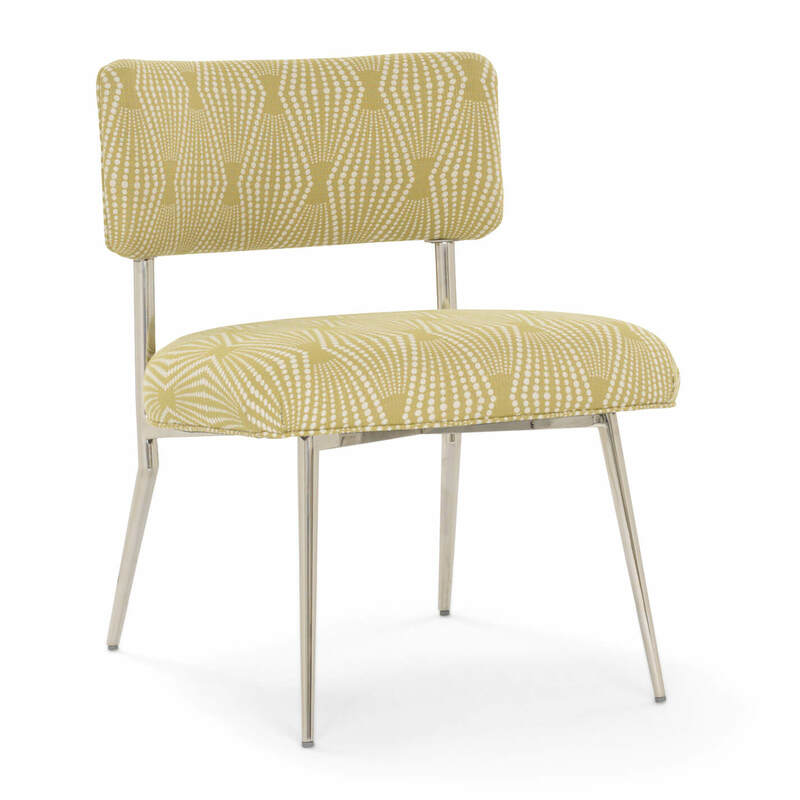 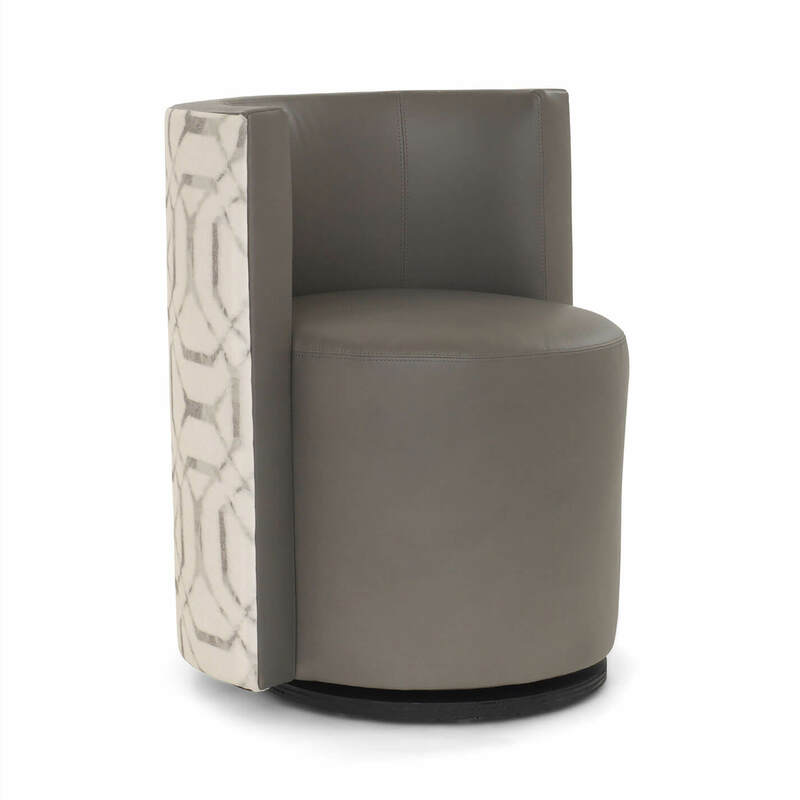 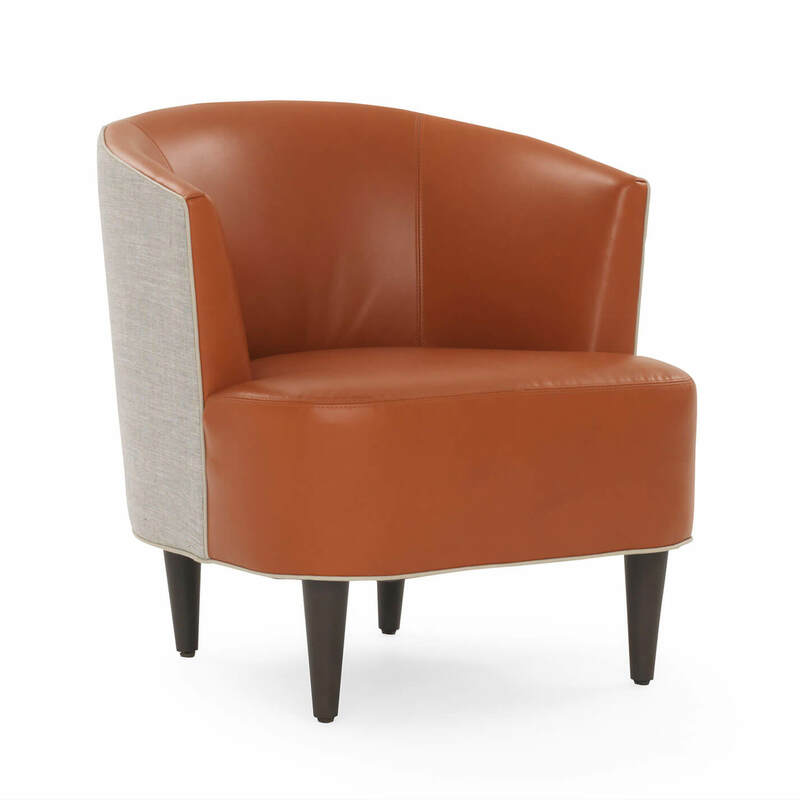 Available in 300+ special order fabric, leather, and slipcover options, Annie is also available without skirt. 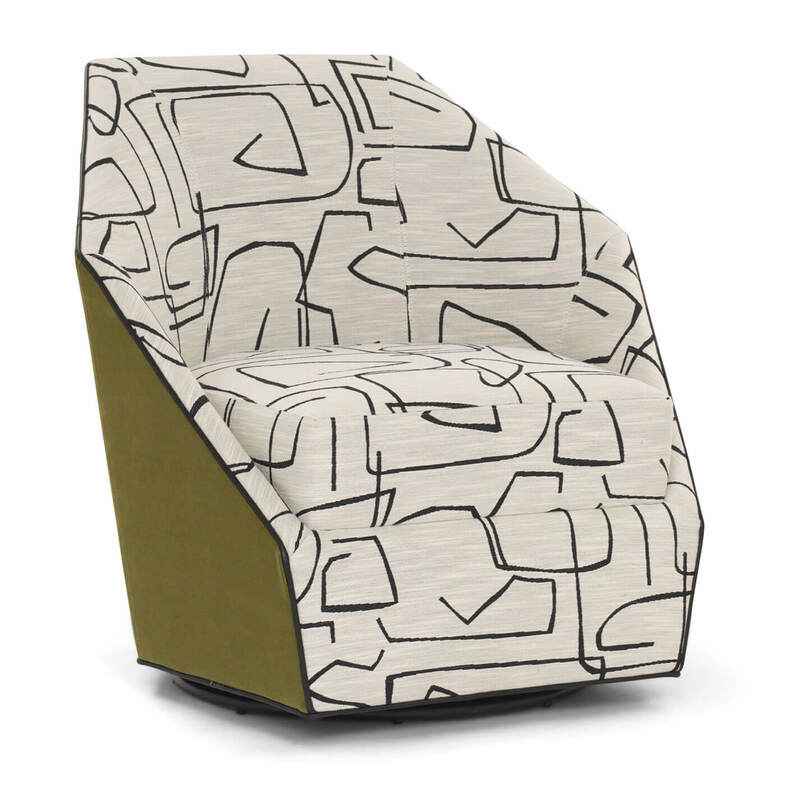 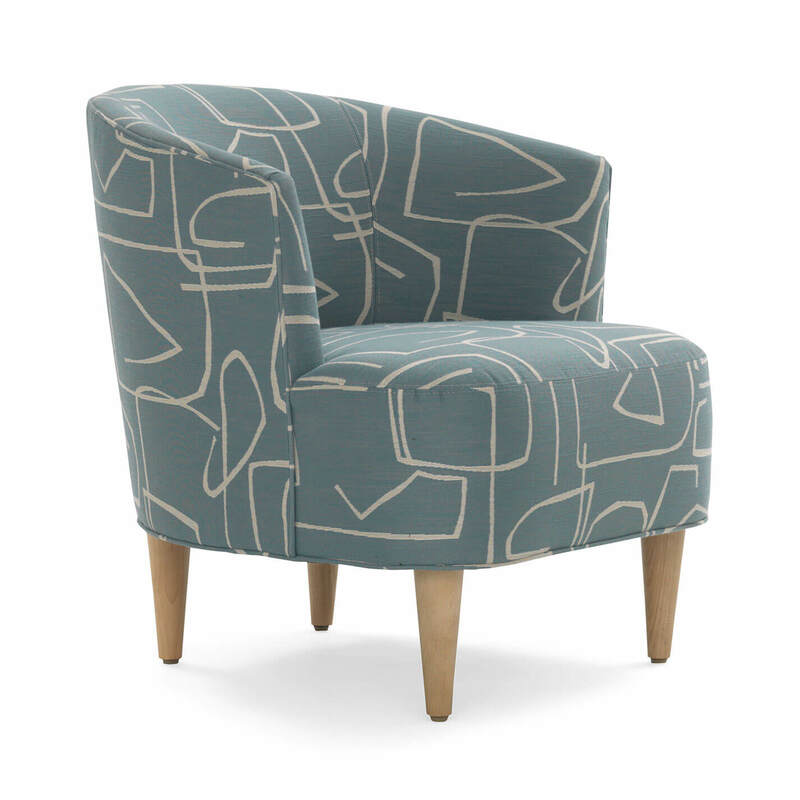 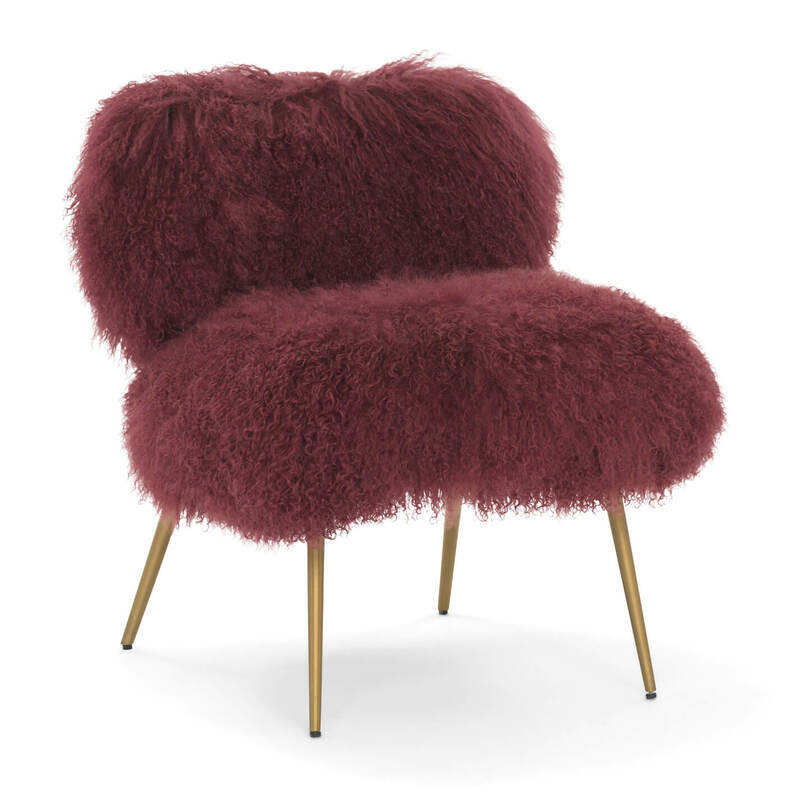 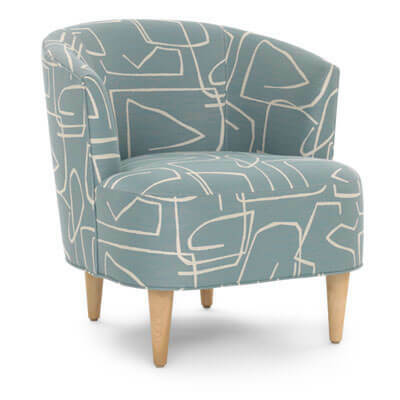 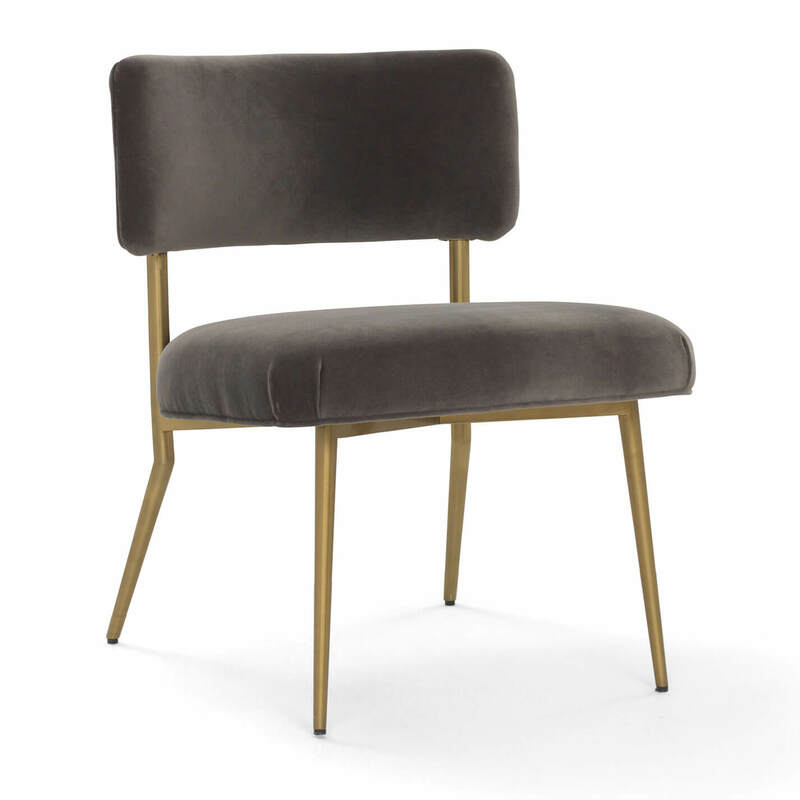 Introduce abstract art to your living space with this mid-Century-inspired accent chair, smartly sized for apartments, landings, and lofts. 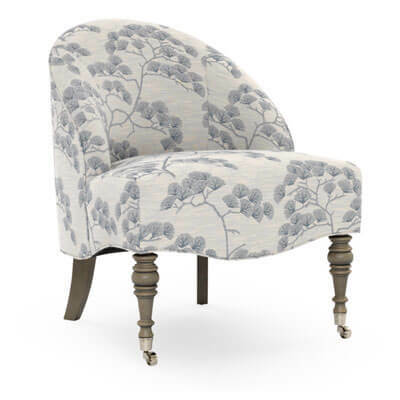 Features a comfortable barrel-back and versatile silhouette. 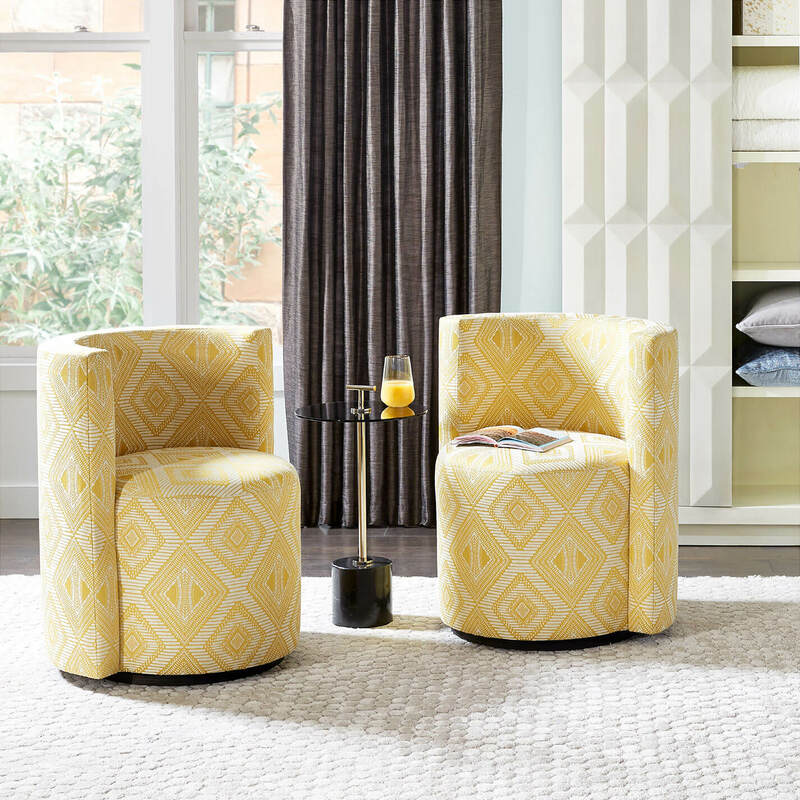 Style Costello to suite your space in 300+ special order fabrics and leathers. 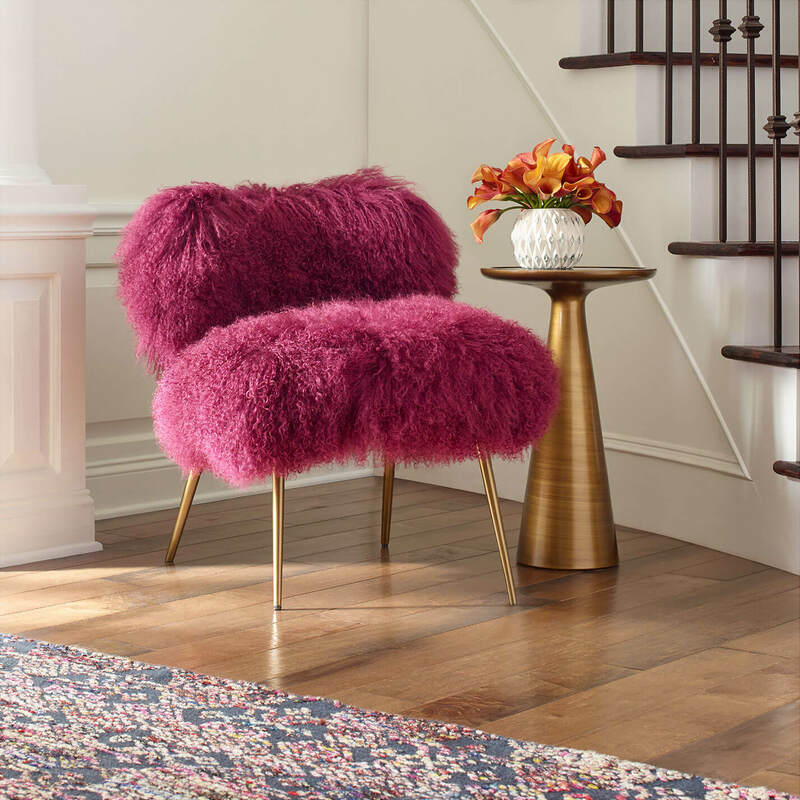 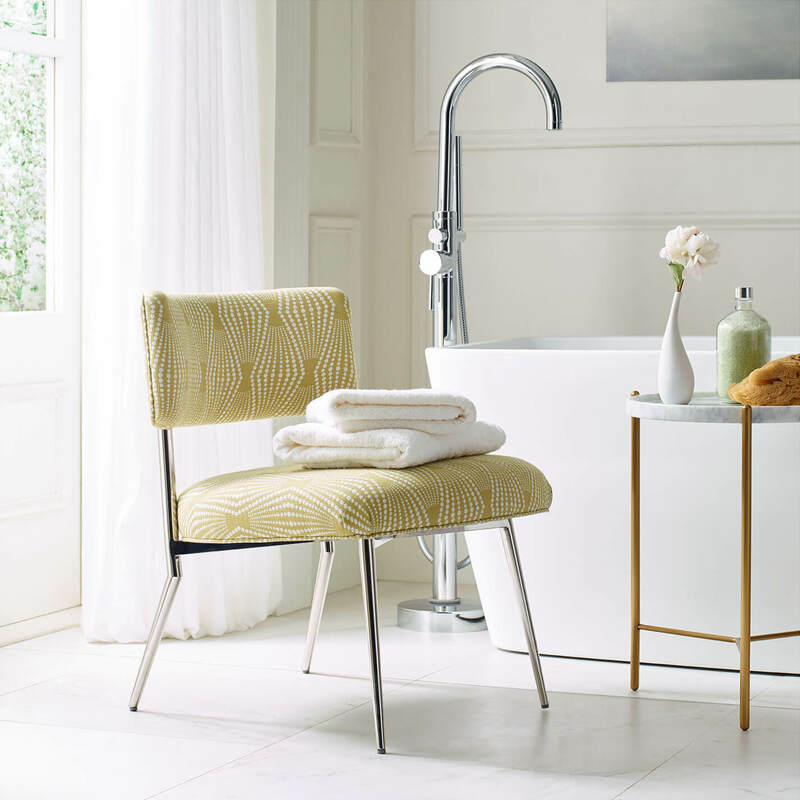 Perfect for living or bedrooms, hallways and entry nooks, Fifi introduces an Italian mid-Century vibe with soft, comfortable curves covered in white or orchid Tibetan wool. 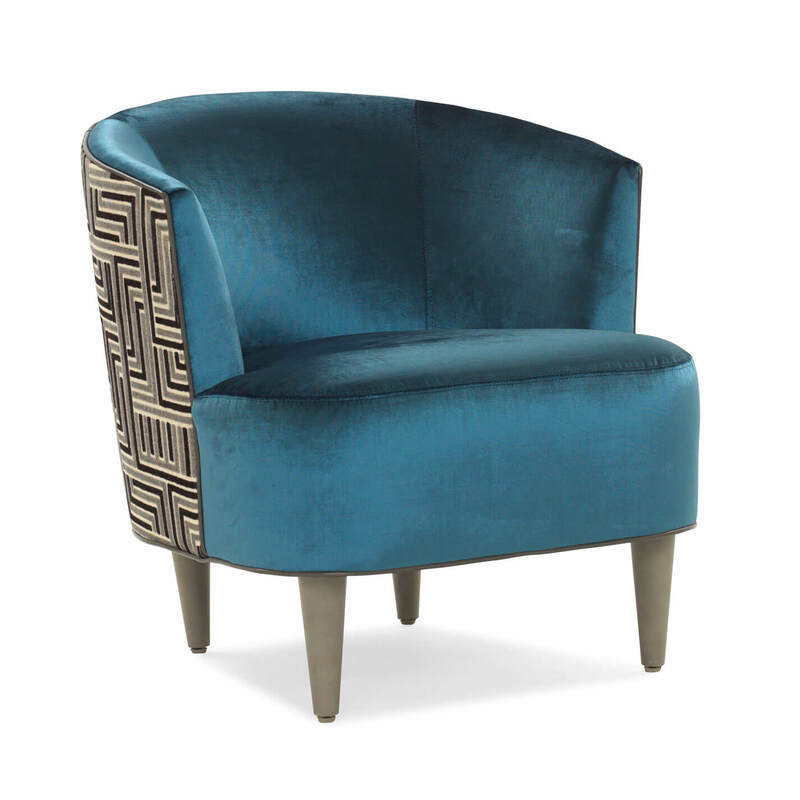 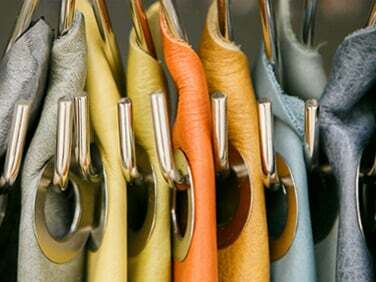 Or, special order Fifi in 300+ fabrics and leathers to suit your space and taste. 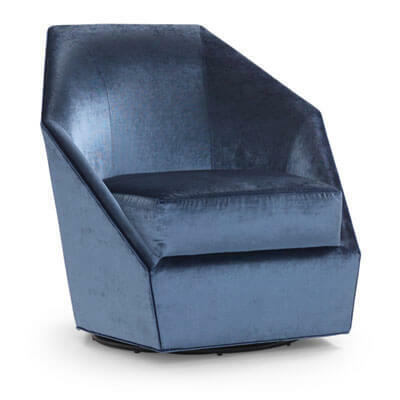 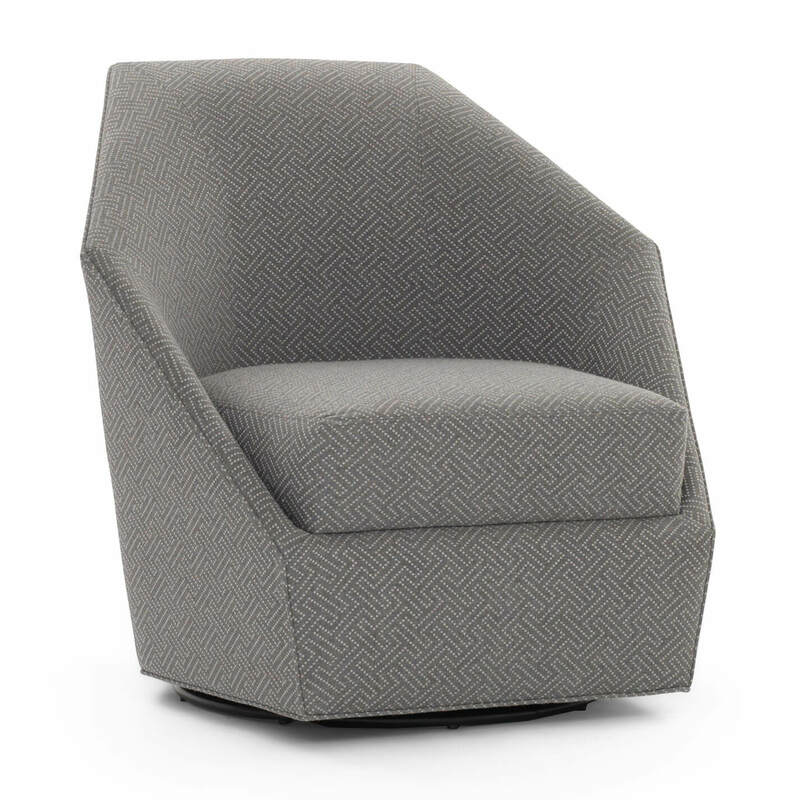 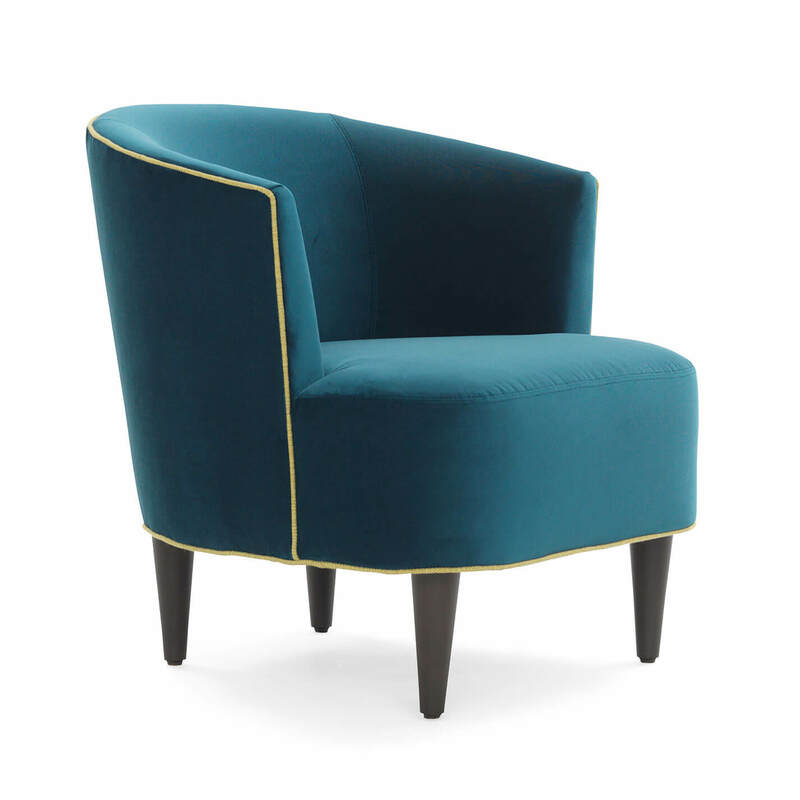 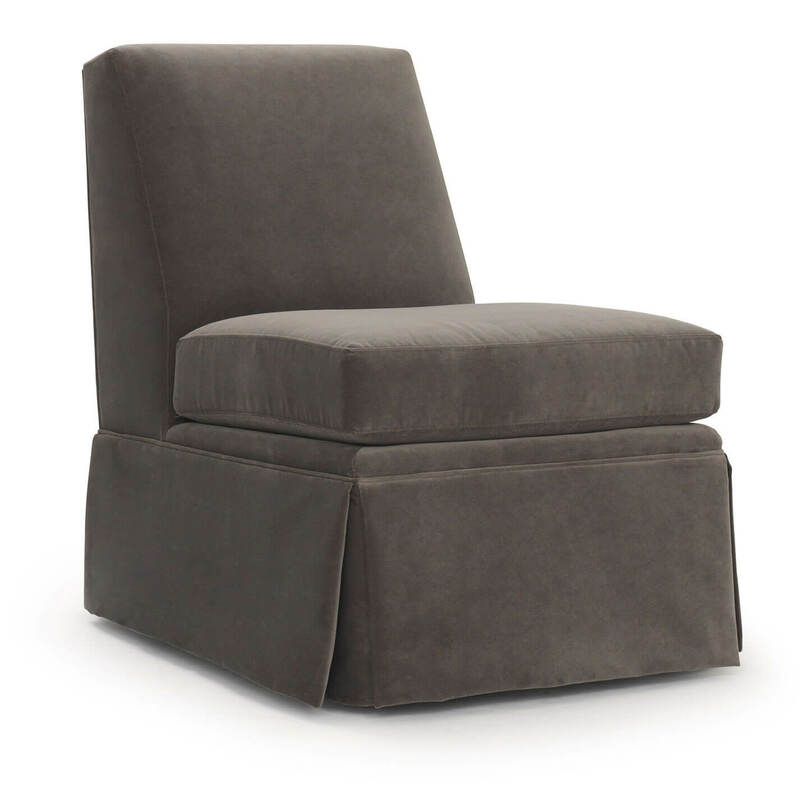 Sculptural swivel chair adds a modern European design, with a relaxing lounge-like sit and faceted silhouette trimmed in welt. 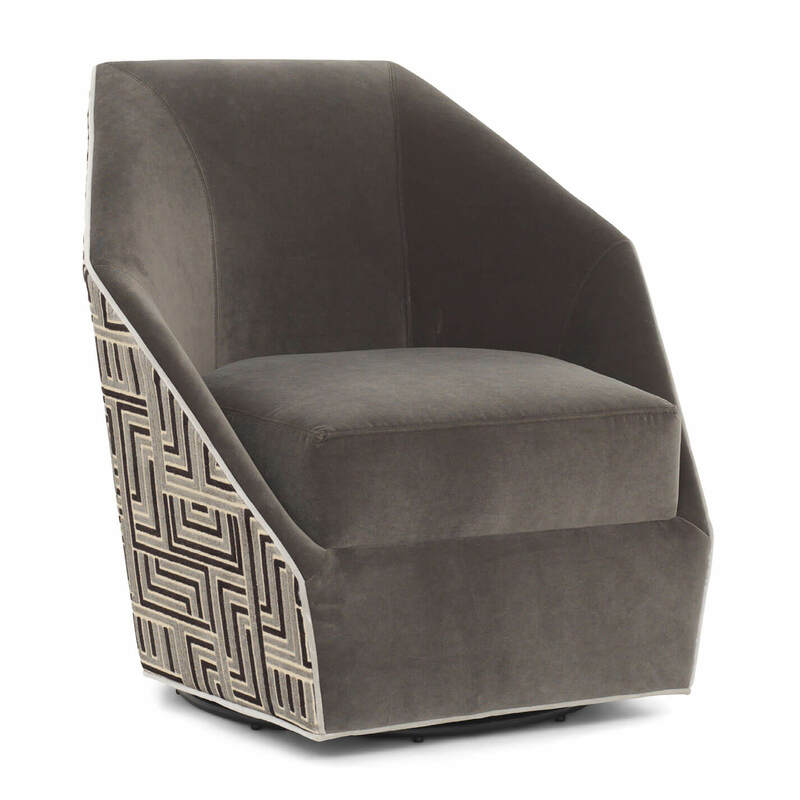 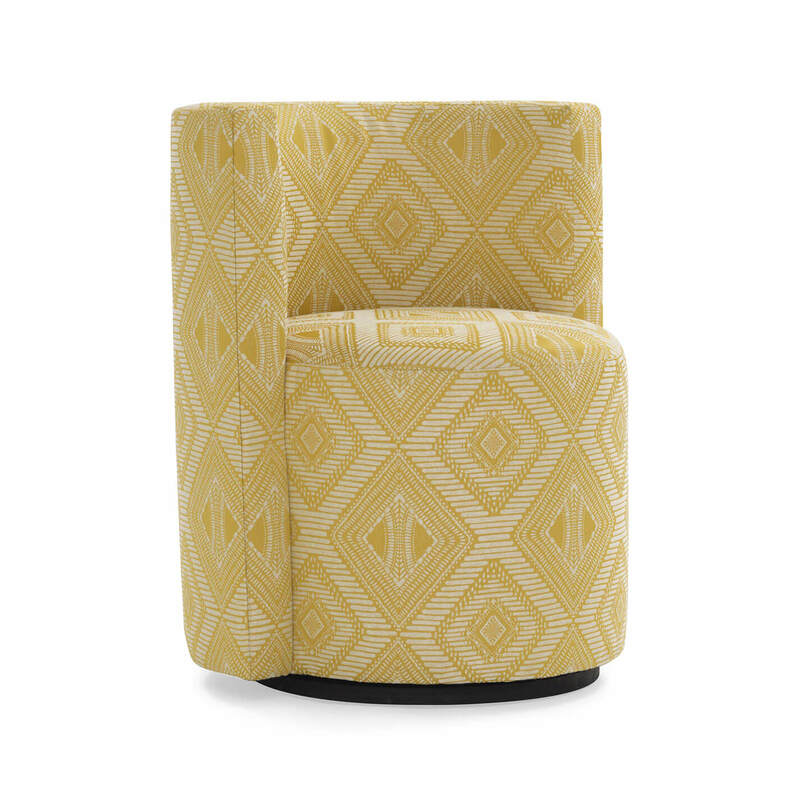 Use as a statement piece in living, family and media rooms, as well as master suites. Purchase as stocked in shimmering velvet, or make it your own in 300+ fabrics and leathers, with contrasting welt and Inside/Outside two-fabric options. 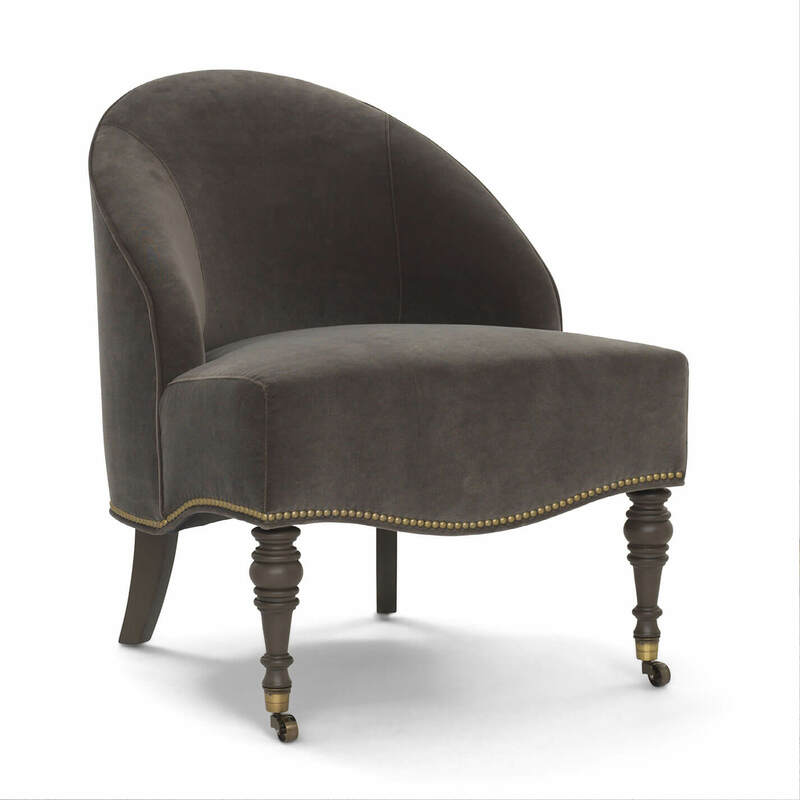 Mae’s graceful silhouette evokes warmth and familiarity with classic details, like a shapely silhouette trimmed in welt and turned legs on casters. 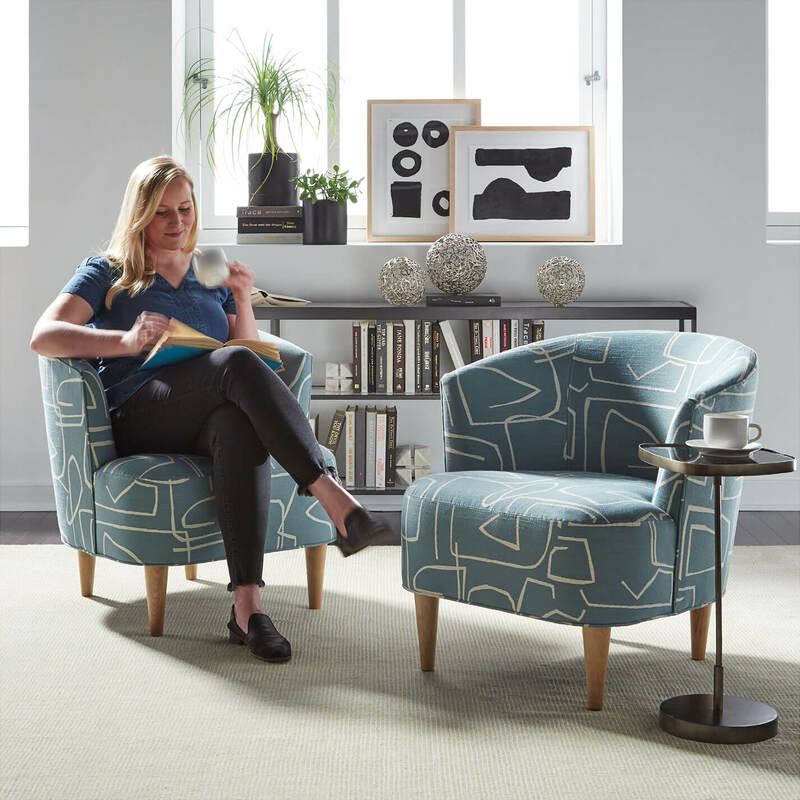 Easy to move and add as extra seating, Mae works especially well in pairs. 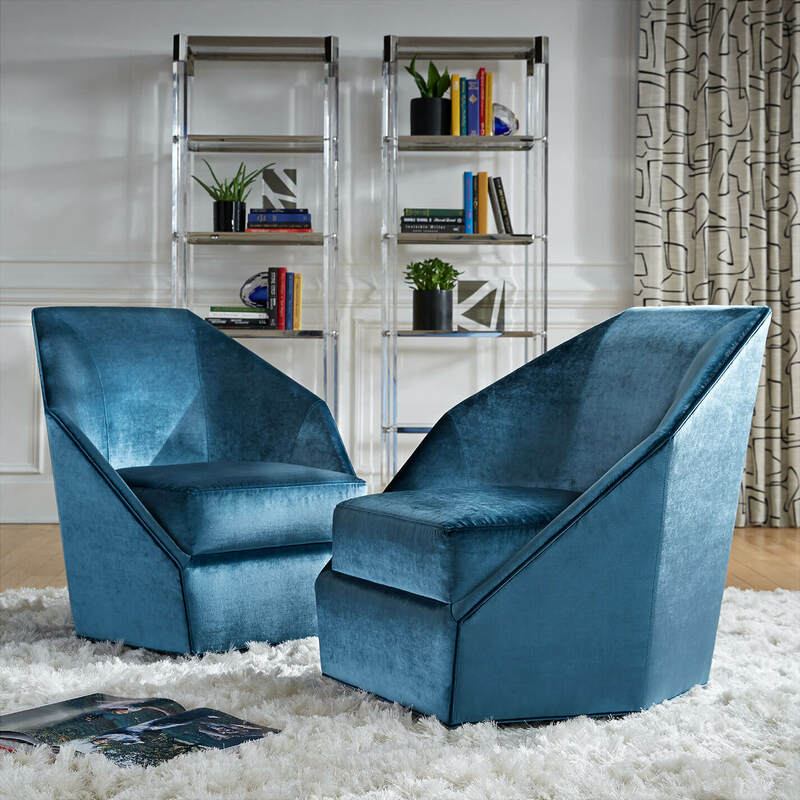 Special order in 300+ fabrics/leathers, with your choice of wood finish, custom welt, nailheads, and Inside/Outside two-fabric options.